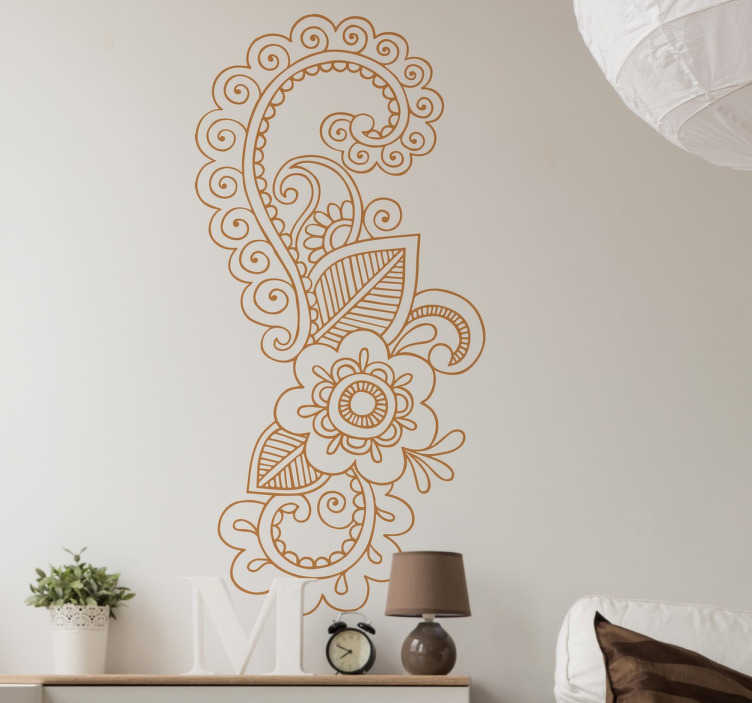 A wall sticker with a beautiful floral design inspired by mandala flowers. Ideal for adding an elegant decorative touch to any room in your home. From our collection of floral stickers, this artistic design is sure to liven up any plain and boring wall in a stylish way. A mixture of flowers, leaves and swirling patterns. Choose the size that best suits you and the space you want to decorate. More than 50 colours available so you can adapt it to the rest of your decor. Apply easily to any flat surface and remove without leaving residue.